Next year Universal Pictures will begin to expand on the movie universe it somewhat began with 2014's Dracula Untold. Whether or not that Luke Evans dud (at least in terms of quality, though it only made $217 million worldwide on a $70 million budget) will tie into this new incarnation of The Mummy is yet to be seen, but it's clear the studio is placing a much bigger bet on this film hiring big guns like Tom Cruise and Russell Crowe in the cast while being explicitly clear in their intention to see this through to a new cinematic universe a la Disney's Marvel films and Warner Bros. DC Comics movies. All of that taken into consideration it doesn't seem to matter what Universal's long term goals might be to the average movie-goer if this first go-around doesn't work for audiences or give them reason to invest or be excited. Should people even be excited for a movie that re-boots a series that saw its last installment be released in theaters not more than a decade ago? Universal seems to hope that by hiring names such as Cruise and Crowe along with a creative team that includes first time feature director Alex Kurtzman who has written major blockbusters in the Transformers, Spider-Man, and Star Trek franchises as well as writers Jon Spaihts (Prometheus, Doctor Strange, Passengers) and Cruise's current creative partner Christopher McQuarrie (The Usual Suspects, Mission: Impossible - Rogue Nation) that audiences very well might. In doing as much there is certainly something of a more inherent pedigree to the material and thus, hopefully, a more imminent need for audiences to see it and be in on the water cooler conversations that would then take place next summer, but right now it's hard to tell. It's difficult to tell whether The Mummy will even be among the most talked about trailers that will debut over the next two weeks that hope to get out in front of Rogue One. The first full trailer looks fun enough and Cruise is on something of a roll with these big-budget actioners at the moment, so it will be interesting to see how far his star power extends past the Mission Impossible series when paired with a high-profile concept, but as for now this can't help but feel like another of the many fish in the sea. 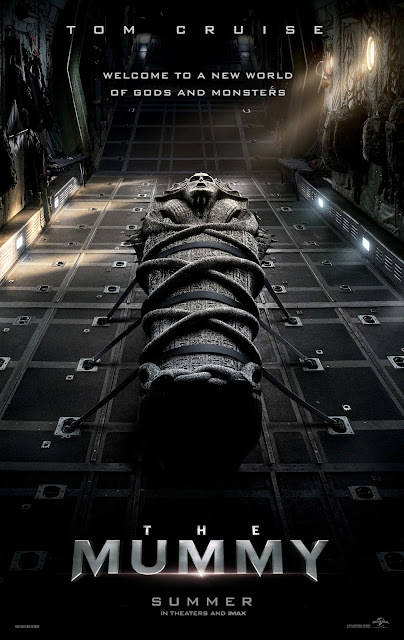 The Mummy also stars Sofia Boutella, Annabelle Wallis, Jake Johnson, Courtney B. Vance, and opens on June 9, 2017. Synopsis: Tom Cruise headlines a spectacular, all-new cinematic version of the legend that has fascinated cultures all over the world since the dawn of civilization: The Mummy.